Is Becky becoming the new Austin? Becky Lynch has ascended to become one of the biggest superstars in the world of professional wrestling, and is all set to get into one hell of a fight against Ronda Rousey at the Grandest Stage of Them All. Tonight's Monday Night Raw was live from Moda Center in Portland where The Man was officially invited to WWE's flagship show by none other than Stephanie McMahon. Considering that the segment was heavily promoted, the fans were definitely expecting something huge to go down between these two superstars. Stephanie McMahon's intervention in this storyline played a substantial role in catapulting Becky Lynch as the ultimate underdog on her Road to WrestleMania 35. While many predicted Ronda Rousey would harm the Irish Lass Kicker, the Commissioner of Monday Night Raw addressed Becky's ongoing knee issue and advised the former SmackDown Women's Champion to remain suspended if she refuses to get medical attention. This led The Man to lose control of her senses and savagely attack Stephanie McMahon to a deafening reaction on the red brand. With WWE finally pushing Becky Lynch as she deserves, she's now suspended indefinitely until she accepts to be treated by the medical facility. But, why did the Irish Lass Kicker attack Stephanie McMahon after being publicly suspended for her refusal to be treated? Without further ado, let's dive deep and analyze the 4 biggest things Vince McMahon could be planning for Becky Lynch after her suspension. 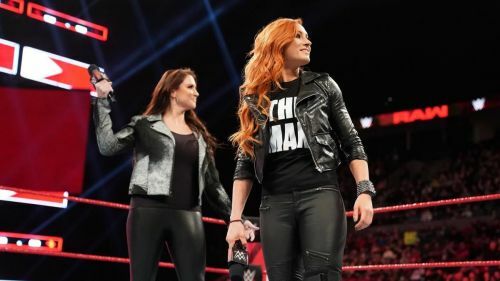 Ever since Becky Lynch brutally attacked Charlotte Flair at SummerSlam 2018, the Irish Lass Kicker has been portrayed as a fearless woman who would do everything in her power to become the main event. Her meteoric rise on the main roster saw her grab the brass ring in no time, which eventually coerced Vince McMahon into pushing Becky as the biggest threat to Ronda Rousey's Raw Women's Championship. Considering that Stephanie McMahon possesses all the credentials to garner nuclear heat from the audience, Becky's attack was a solid way to cement her position as an anti-hero going into WrestleMania 35. 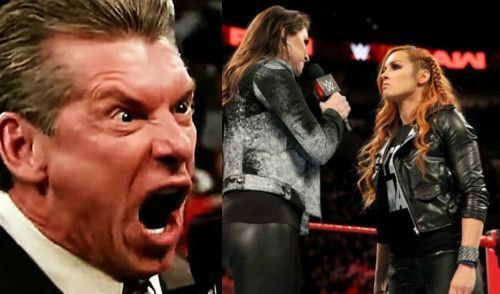 Mr. McMahon has been successful in presenting Becky Lynch as an anti-hero, and her comparisons to Stone Cold and CM Punk will only keep on growing. Therefore, planning a solid Monday Night Raw would keep the spotlight on Becky whilst promoting the main event of WrestleMania 35. If her last invasion was anything to take into consideration here, this could very well be a solid segment.